Explore the world of 4G LTE with the all-new Swipe Ace Strike 4G 16GB White+Gold tablet. Loaded with the most engaging features along with an impressive design, this dual SIM tablet is all set to dazzle you with its excellent performance. It runs on the latest 1.5 GHz Quad-Core processor along with the latest Android 4.4 KitKat operating system (OS). Click beautiful pictures, transfer your important documents, listen to music, download movies and stay connected with your world 24 x 7 with this high performance tablet brought to you by Swipe. You can buy Swipe Ace Strike 4G 16GB Ivory White+Champagne Gold at best price along with 1 year Swipe India warranty only at Snapdeal. 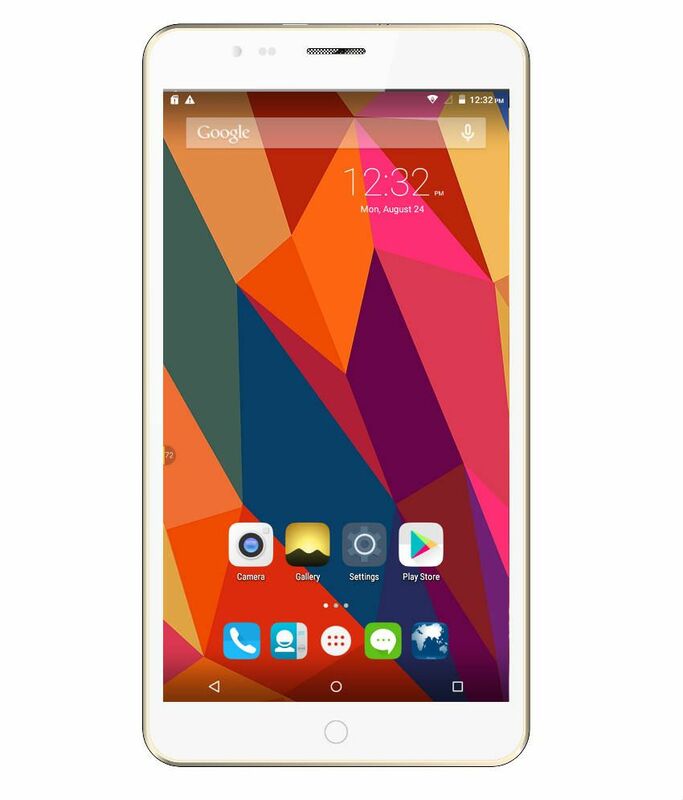 Explore the world of 4G with Swipe Ace Strike 4G 16GB Ivory White+ Champagne Gold tablet. You can quickly download your favourite content from the web and explore web at blazing fast speed with the 4G connectivity of the device. Moreover, with dual SIM support, Swipe Ace enables you to efficiently manage your work and personal life. How about watching your favourite movies on the large 17.72 cm (6.92) HD IPS display of the Swipe Ace tablet? With 1024 x 600 pixels screen resolution, this tablet makes your images and videos come alive with ultimate clarity and picturesque details. 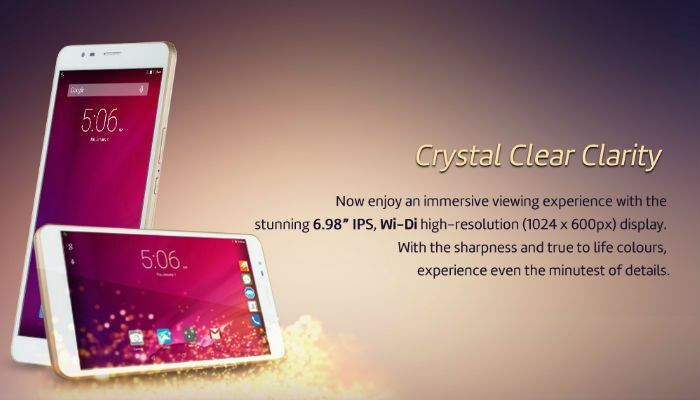 The IPS display technology enhances the viewing angle and enables you to enjoy crystal clear display from any angle. Loaded with the advanced 1.3 GHz Quad-Core 64Bit processor, Swipe Ace Strike thrills you with an enhanced processing speed. 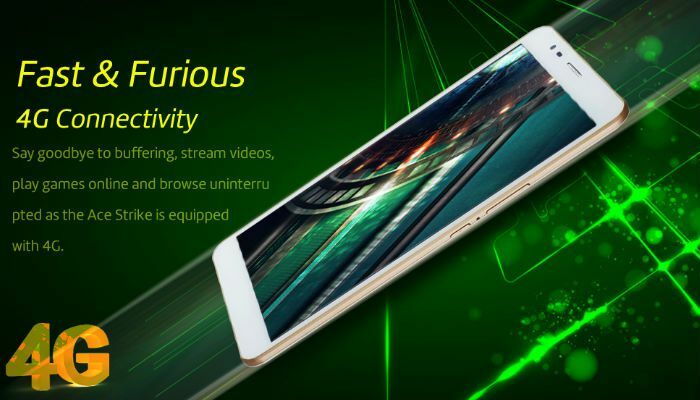 It enables you to quickly open apps, play games and explore web without any time lag. 2 GB of RAM ensures smooth data transition for a fast and responsive navigation experience. Explore the world of unlimited apps with Swipe Ace Strike 4G 16GB Ivory White+ Champagne Gold tablet that comes with the latest Android v5.1 Lollipop KitKat operating system (OS). This user-friendly operating system (OS) enables you to download innumerable apps in the device to sort out your everyday chores in a jiffy. It also amazes you with exciting new features such as Ok Google, Prioritised contact list and much more. Click those precious moments of life forever with the 5 MP rear camera of the Swipe Ace Strike 4G 16GB Ivory White+Champagne Gold Tablet. The flash enabled primary camera of the device allows you to click well-illuminated pictures even in bright light. 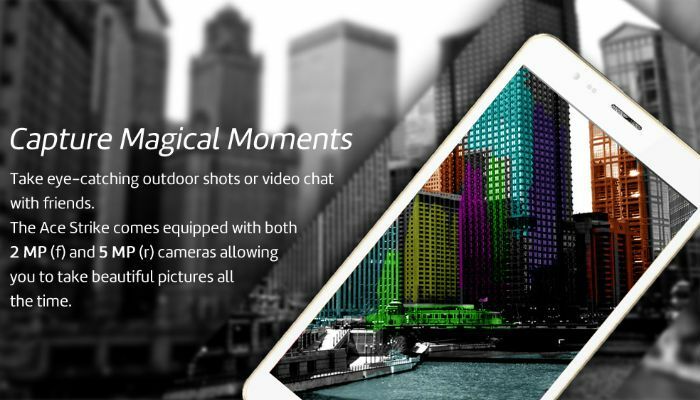 Swipe Ace also comes with a 2 MP front camera for capturing selfies and making video calls. Explore web and transfer your important documents with the Wi-Fi and Bluetooth connectivity of the Swipe Ace Strike 4G 16GB White+Gold tablet. Simply, connect the Swipe Ace tablet with the available Wi-Fi network and enjoy seamless internet connectivity. From watching movies online to working on your business presentations, you can do it all with Swipe Ace tablet. Accommodate all your favourite multimedia files in the Swipe Ace Strike 4G 16GB Ivory White+ Champagne Gold tablet without facing any space crunch. With its 16 GB internal memory, this tablet enables you to store songs, games, movies, images and much more in the device. Moreover, you can even expand the memory of the tablet up to 32 GB by using a microSD card. Designed to cater your active lifestyle requirements, the new Swipe Ace Strike 4G 16GB Ivory White+Champagne Gold keeps you productive round the clock. Equipped with a powerful 4000 mAh battery, this tablet entertains you for a longer time in a single charge. Work on your business presentations, play high quality games, download movies and stay connected with your loved ones without any interruption with Swipe Ace Strike.